Lake Erie shipwreck “Anthony Wayne” was officially listed in the National Register of Historic Places (NRHP) on January 2, 2018. 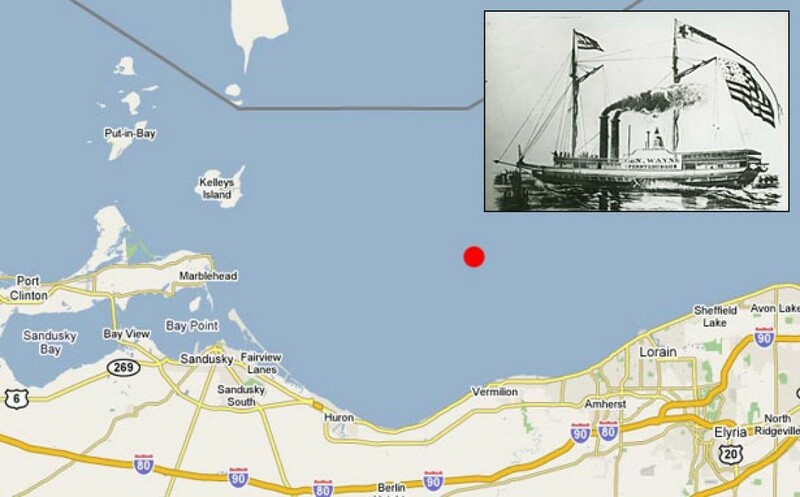 This is the first Ohio shipwreck to be listed in the NRHP! The side-wheel steamship, named in honor of Revolutionary War Hero General "Mad" Anthony Wayne, sank in April 1850 after its boilers exploded. The Steamer was en route to Buffalo, NY, carrying an estimated 100 people, and 300 barrels of high quality whiskey and wine. Of those estimated 100 people on board, eleven crewmembers and between 40 and 50 passengers perished in the incident. This historic shipwreck - the oldest known steamship wreck in Lake Erie - was found by Tom Kowalczk of the Cleveland Underwater Explorers (CLUE) on Sept. 16, 2006. It was initially surveyed by CLUE, and during the summers of 2008 and 2009 Tom, the staff of the Great Lakes Historical Society (GLHS), and students from Texas A&M University performed a full archaeological survey of the shipwreck, including the removal of ~1600 cubic feet of silt to reveal its horizontal crosshead engine. The effort to list the “Anthony Wayne” on the NRHP was initially spearheaded by Tom, and ultimately it was made a reality by the efforts of the State Historic Preservation Office and Ohio History Connection.